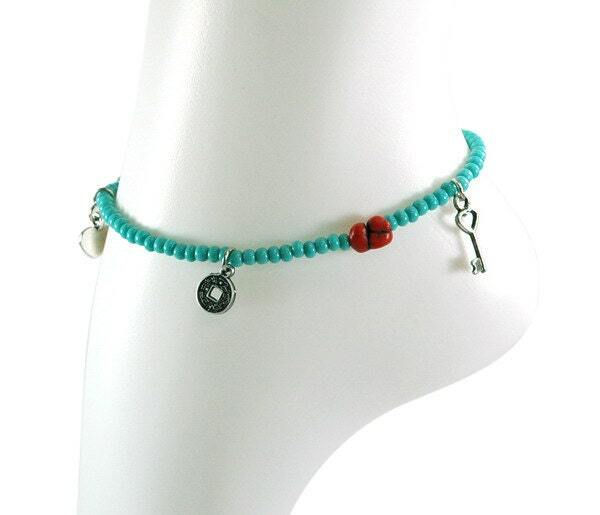 A lovely handmade anklet made of turquoise colored beads and natural Red Coral. 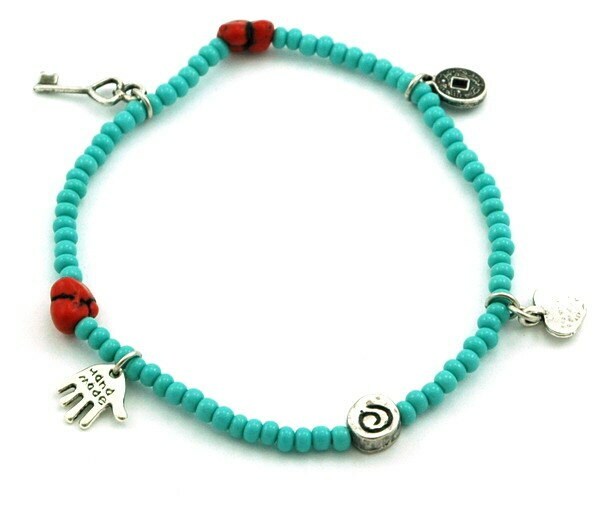 The anklet is adorned with two Red Coral beads for protection and emotional healing and multiple silver-plated charms. 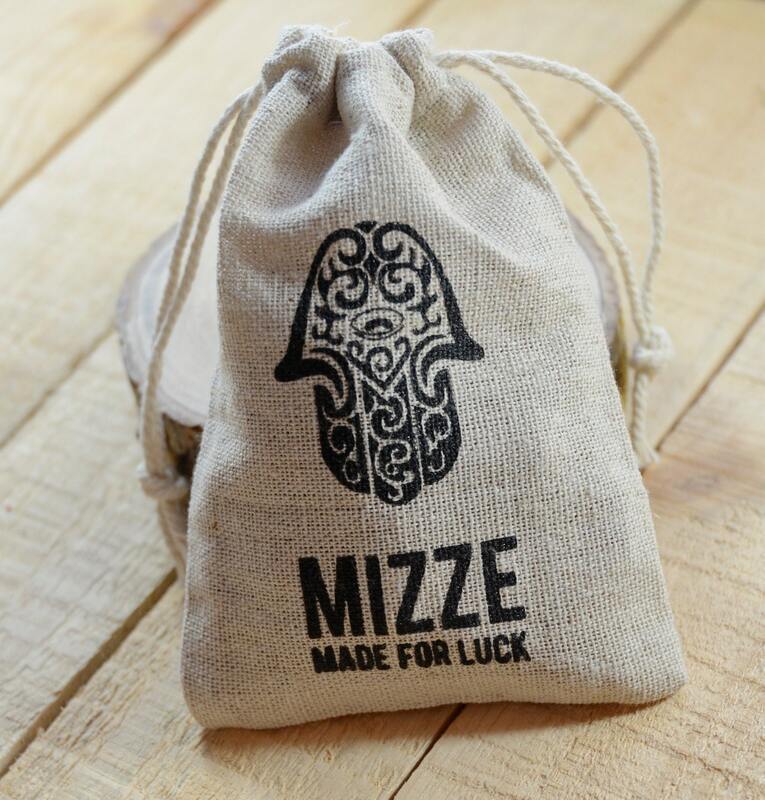 Charms include a Feng Shui coin, a Hamsa hand, a spiral charm, "Key to My Heart" charm and a heart for love. Each Anklet measures 9.5 inches (24 CM). 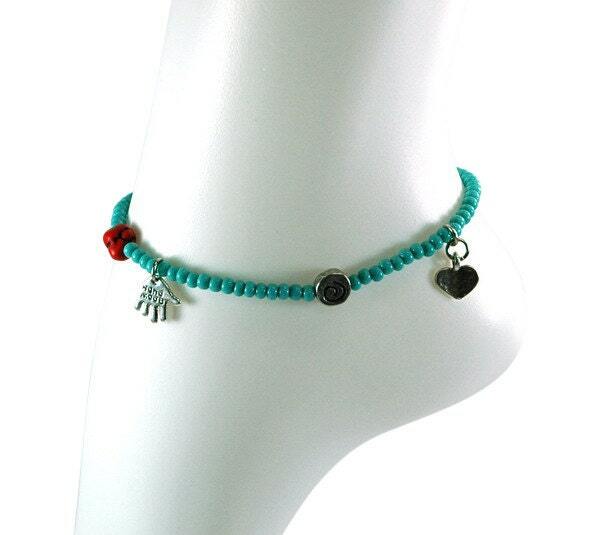 Stretch anklet, one size fits most ankles.